Eight of Iridium’s first ten upgraded communications satellites launched in January started providing voice and data relay service ahead of schedule, and SpaceX says it can launch up to 40 more Iridium spacecraft by the end of the year, Iridium officials reported Thursday. “I’m happy to report that our initial batch of Iridium Next satellites are now fully operational and working very well,” said Matt Desch, CEO of Virginia-based of Iridium Communications. Engineers are repositioning the other two new-generation Iridium spacecraft in orbit to replace other satellites, part of a “highly-choreographed process” to complete a refresh of the company’s entire constellation by mid-2018, Desch said Thursday in a quarterly earnings call with investment analysts. The first eight Iridium Next satellites entered service in March and early April, taking the place of aging first-generation spacecraft launched in the late 1990s. After their deployment from the second stage of a SpaceX Falcon 9 rocket launched from Vandenberg Air Force Base in California, the satellites boosted their altitude from a 388-mile-high (625-kilometer) drop-off orbit into the operational constellation at an altitude of 485 miles (780 kilometers) alongside the craft they were intended to replace. Ground controllers then instantaneously switched off the inter-satellite communications links on the old satellite and turned on the links on the new craft, a procedure Iridium calls a slot swap. The Iridium fleet consists of 66 operational satellites distributed in six orbital tracks, with 11 slots in each plane. The remaining two Iridium Next satellites deployed into Plane 6 on Jan. 14 are drifting into a different plane, a movement that will take around 10 months. Iridium’s next 10 satellites are set for launch June 29 aboard another Falcon 9 booster. Desch said the spacecraft will begin shipping from their factory in Gilbert, Arizona, to the Vandenberg launch base in mid-May for fueling and attachment with the rocket’s multi-payload dispenser, which accommodates the 10 satellites inside the Falcon 9 nose cone. SpaceX and Vandenberg Air Force Base officials have confirmed the June 29 launch target, according to Desch. The June 29 launch is set for 1:02 p.m. PDT (2002 GMT; 4:02 p.m. EDT), according to Iridium. That is timed to place the next 10 satellites into Plane 3 of the Iridium network. The Iridium Next assembly line in Arizona, managed by Orbital ATK in partnership with satellite-designer Thales Alenia Space, is producing spacecraft at a rate to manufacture all of the Iridium Next satellites by the end of 2017, Desch said. Thales Alenia Space and Orbital ATK have manufactured more than 40 of the 81 Iridium Next satellites under contract, according to Desch. Iridium originally planned to launch 70 of the Iridium Next satellites on seven Falcon 9 rockets by the end of 2017, but SpaceX launch delays caused by rocket failures and production bottlenecks have pushed that target to mid-2018. At the time of the Jan. 14 launch, SpaceX and Iridium aimed to launch the second group of Iridium Next satellites in April. But Iridium announced in February that liftoff of the next batch of Iridium Next platforms would be delayed two more months, citing rocket production issues and a cramped launch manifest at SpaceX. 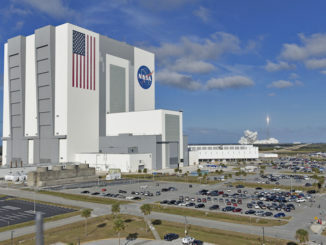 Desch said Thursday that SpaceX has upped its production and launch tempo. Iridium booked an eighth launch with SpaceX earlier this year, a mission that will loft five more Iridium Next satellites, committing the company to launch at least 75 of the 81 new-generation spacecraft on Falcon 9 rockets. 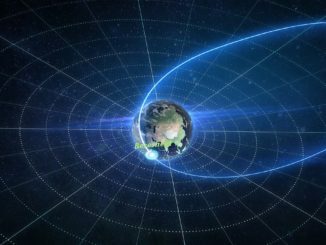 The extra launch will take off by early 2018 in tandem with two U.S.-German research satellites to make the best-ever measurements of Earth’s gravity field. The upgraded $3 billion Iridium Next network will offer faster broadband connections, improved functionality and 3G-equivalent cellular phone services for Iridium’s pool of nearly 870,000 subscribers, a client list that includes the U.S. military, oil and gas companies, aviation and maritime operators, and mining and construction contractors. 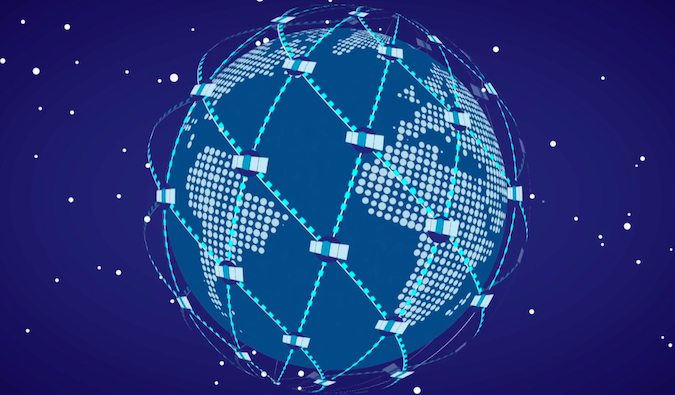 “The satellites’ faster processors, larger memory and modern engineering design are delivering better voice quality as well as faster data throughput for our maritime, aviation and IoT (Internet of Things) customers,” Desch said. “While our current network is performing amazingly well for its age, the statistics for our newest satellites are even better. “I can’t wait for coming launches and the impact of the additional (Iridium) Next satellites will have on the overall work performance, and that’s even before we introduce new services,” he said. All of the Iridium Next satellites now entering service also carry piggyback payloads for Aireon, an affiliate of Iridium, to help air traffic controllers track airplane movements worldwide. Four of the Iridium Next satellites launched in January host an antenna to monitor maritime traffic for exactEarth, a Canadian company, and Harris Corp. of Melbourne, Florida. 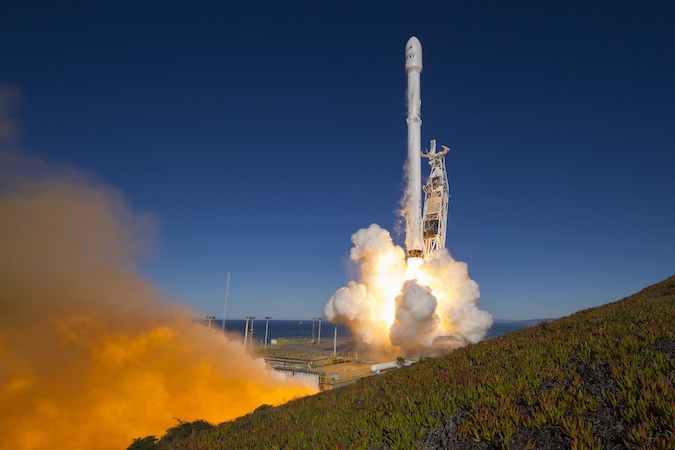 Tom Fitzpatrick, Iridium’s chief financial officer, said Thursday that the company is now earning its first revenue from the new Iridium Next satellites. 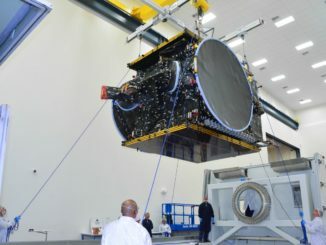 “For the first time this quarter, we are realizing revenue from hosting and data services on our first batch of Iridium Next satellites,” Fitzpatrick said. 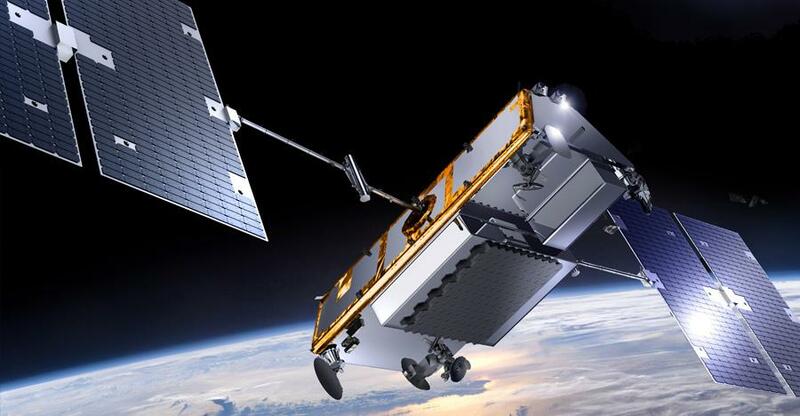 Aireon took control of the first airspace monitoring payload on an Iridium Next satellite in early March, kicking off tests to verify the orbiting instruments can locate aircraft around the world. Air traffic authorities in Canada, Ireland, Italy and Denmark are part of the Aireon joint venture with Iridium. Organizations responsible for managing airspace in France and Spain have signed agreements with Aireon since the January launch to evaluate the airplane tracking service, and the Federal Aviation Administration conducted the first test of the Aireon system using a flying laboratory in March to check its performance for potential use by U.S. air traffic controllers. “A flight test coordinated with the FAA was the ultimate validation accomplishment for the Aireon system to date and is a textbook example of how a public-private partnership can thrive,” said Vinny Capezzuto, chief technology officer and vice president of engineering at Aireon. The arrival of new Iridium Next satellites in orbit allows engineers to retire older satellites. Desch said Iridium decommissioned the first of its now-disused satellites, Space Vehicle No. 40, a few weeks ago. The satellite, which launched on a Delta 2 rocket in November 1997, fired thrusters to lower its orbit below the Iridium fleet, emptied its propellant tanks, depleted its batteries, opened its electrical relays and positioned its solar panels for maximum drag, he said. The maneuvers ensure most Iridium satellites will re-enter the atmosphere and burn up with a year after completing the decommissioning procedures, according to Desch. Two more aging Iridium satellites will go through a similar process in the next few weeks, he said. Some of the healthiest first-generation satellites will be moved to a temporary storage orbit around 12 miles (20 kilometers) below the operational constellation as spares. “We will continue this process for all legacy satellites that we aren’t using as temporary spares, and will eventually de-orbit all the Block 1 spares after Iridium Next is completed next year,” Desch said. Skywatchers used to observing Iridium satellites, known for their bright flares around sunrise and sunset, should be sure to catch a glimpse over the next year. The design of the company’s refreshment satellites is not expected to produce the flares.